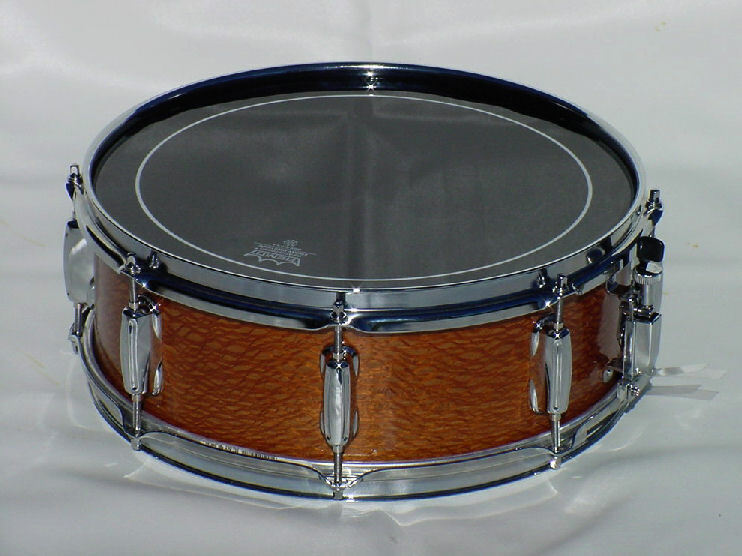 This beautiful 14” x 5.5”10 ply VSS Keller Maple Shell Snare drum, has a high gloss Lacewood finish with all Slingerland style hardware 2.3mm hoops, heavy duty snare throw-off, 20 strand snare. The bottom head is a Evans Hazy snare side 300 and is 3mils thick, has a wide dynamic range that will focus the sound of the snare. The top batter head is a Remo ebony pinstripe made from two plies of film and bonded at the collar to dampen both high overtones and overall resonance. It gives you that unique deep and dark sound with a striking appearance. “One of Billy’s favorites” You can bet this one will make a statement.